5,000 m² of heated pool complex! Come to our 5-star campsite, the Côte d’Argent in Aquitaine, for a fantastic holiday on the Atlantic coast! 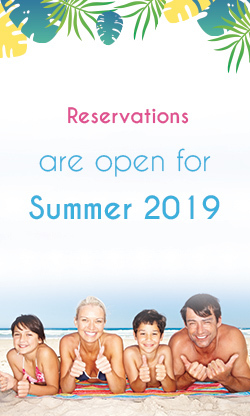 In Gironde, in the heart of the Médoc wine region on Hourtin Beach, the 5-star campsite, Côte d’Argent, welcomes you from the 11th of May to the 15th of September 2019 on its gently rolling camp grounds that stretch over 20 hectares. Have a pleasant and relaxing holiday tucked away in a pine forest only 300 meters away from a vast beach that fringes the Atlantic ocean. Looking to soak up a little nature and the beautiful surrounding landscapes? Only 4 kilometers away from our campsite you’ll find France’s largest natural lake, with its beaches and creeks. Ideally situated in a naturally unique zone, sheltered from winds thanks to the dune and forest, this 5-star village-club in Nouvelle-Aquitaine has an ideal climate and setting for a relaxing holiday surrounded by nature. Only 300m away from the beach, the campsite offers you various types of accommodations. For your comfort, our campground in Gironde has numerous accommodation rentals. Choose the holiday accommodations of your choice among the wide range of rentals in mobile home/cottages for a pleasant, comfortable, quality holiday experience in Gironde. Are you a nature lover? 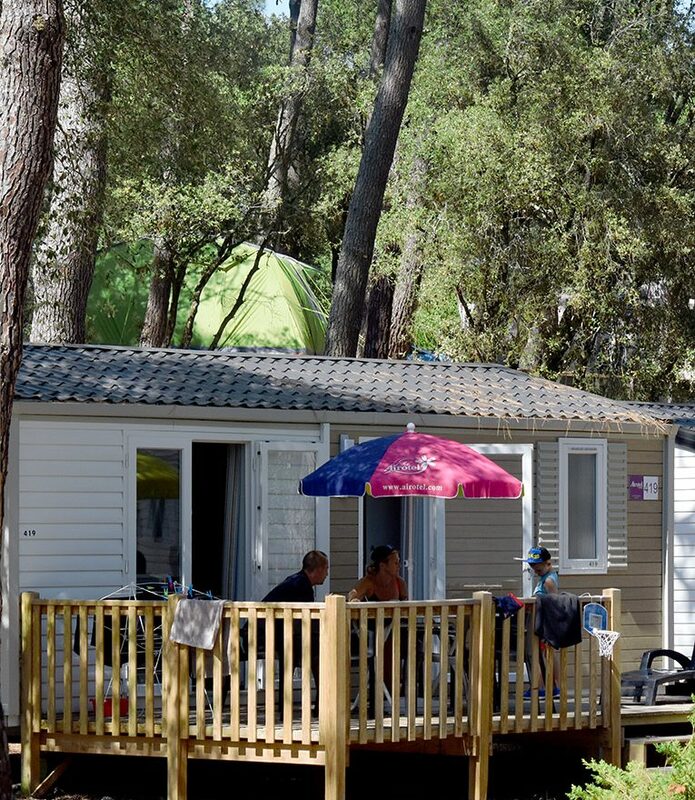 At the Côte d’Argent 5-star campsite in Aquitaine you can choose a pitch for your tent, caravan or camping-car. Pick your mobile home/cottage or your pitch according to your preferences and campsite availability: shaded, semi-shaded or sunny, we’ve got something for everyone! Don’t miss our exceptional aquatic area! 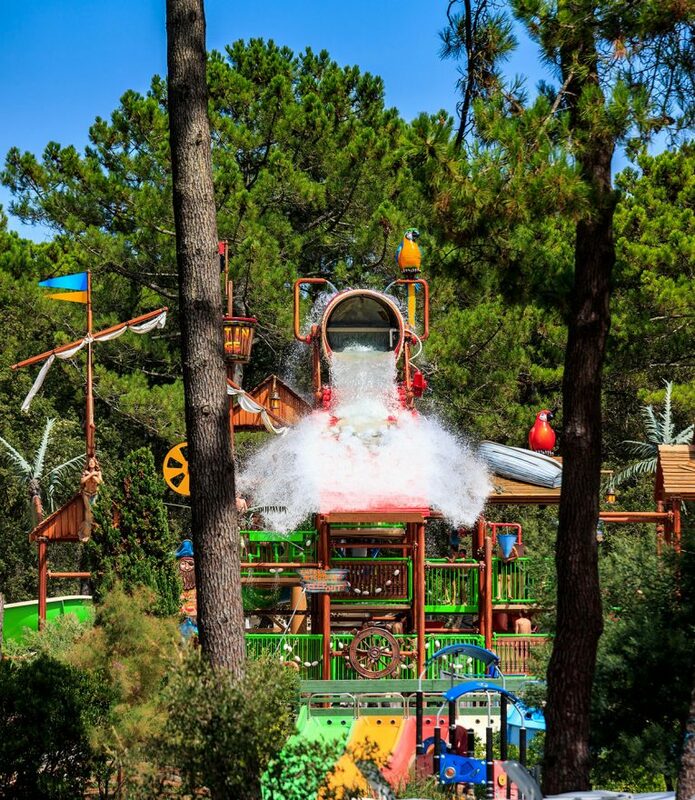 Enjoy with family or friends in our fantastic 5,000m² fully-heated pool complex comprised of 4 pools, 9 water slides, 1 island for children and Aqua’Pirates! On site, you’ll find all the restaurant services and supplies you need. On the campsite you’ll find: a bar, a restaurant with take-away meals, pizzas and a menu, as well as a grocery store and a wine cellar.